2. Do I need immunizations? Consult your doctor or local health department for recommendations based on your health history. Staff members of Unbound are not qualified to offer advice on immunizations. The Centers for Disease Control and Prevention website at www.cdc.gov/travel has country-specific recommendations. You can also contact them by phone at 800-CDC-INFO (800-232-4636). We recommend speaking with a medical professional as soon as possible, as some immunizations are time-sensitive, and sometimes difficult to obtain. For example, of the countries we visit with awareness trips, a yellow fever vaccine is currently required for entry into Bolivia, Madagascar and Uganda. Our own staff members have recently experienced long waiting lists in getting the yellow fever vaccine, and some vaccines may require multiple stages. Although a particular immunization may not be required for entry into your destination country, the Centers for Disease Control and Prevention (CDC) provides country-specific recommendations for travelers. Sometimes the CDC’s recommendation references a specific area of a country or will vary depending on the style of travel. 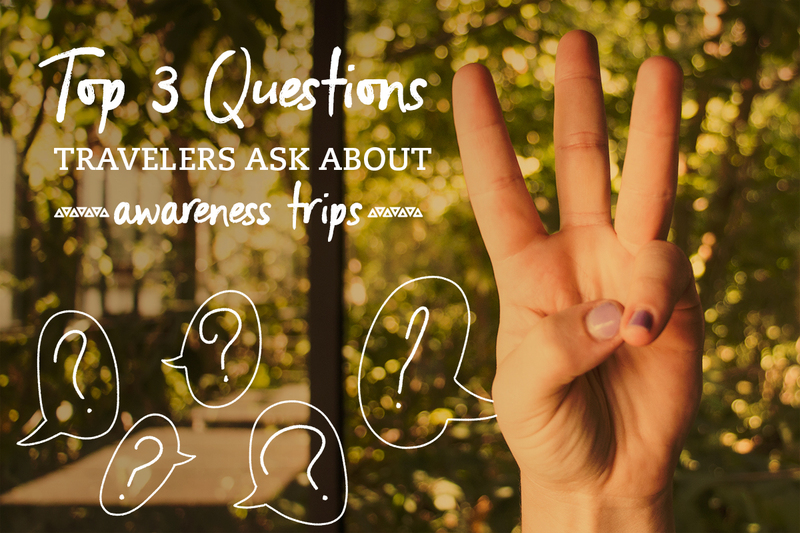 A trip coordinator would be happy to answer questions about the areas of the country a trip might visit, the lodging and other such facts that you and a medical professional may need to factor into your decisions. 3. What do you do on an awareness trip? Most of our travelers join a trip in order to meet their sponsored friend, which is the highlight of the week’s activities. Our trips also show sponsors how their contributions are used to support and empower families. And what do you do? Our local staff will meet you at the airport and will be your hosts for the week. Sponsored families will welcome you into their communities and into their homes. During the week, activities and celebrations will demonstrate how Unbound works with families living in poverty. Read our trip-specific, sample agendas, which can be found via our trips schedule page, for more details! Awareness trip travelers describe the experience as rewarding, eye-opening, energizing, impactful and humbling. They’ve said the time truly grew their awareness and changed their perception of poverty. Others describe the trip as a retreat, a homecoming. Awareness trips are spent listening, learning and receiving. The task or mission to be accomplished is to reach across borders, listen to and learn from one another, have fun and celebrate life’s possibilities. The outpouring of love and gratitude shines in each welcome, smile and hug. Still have questions? Check out our trip FAQs or email [email protected] for more information. Thanks for your question! The next trip to El Salvador is February 16-23, 2019. You can view the full list of trip dates and get more information about our awareness trips at unbound.org/trips. We’d love to have you travel with us.